There’s something about hearing a story that makes it a little more exciting than just reading it. When someone tells you a story, it leaves room for you to focus on imagining the characters and learning the vocabulary. Celebrity parent and model, Chrissy Teigan reads aloud with her daughter Luna and the benefits from reading aloud are many. But when you don’t have the time, or when kids want to be a little more independent, children can really benefit from audio books. Parenting Tips: Reading aloud and using audio books can be a great benefit to your kids and give them a little independence! 1. 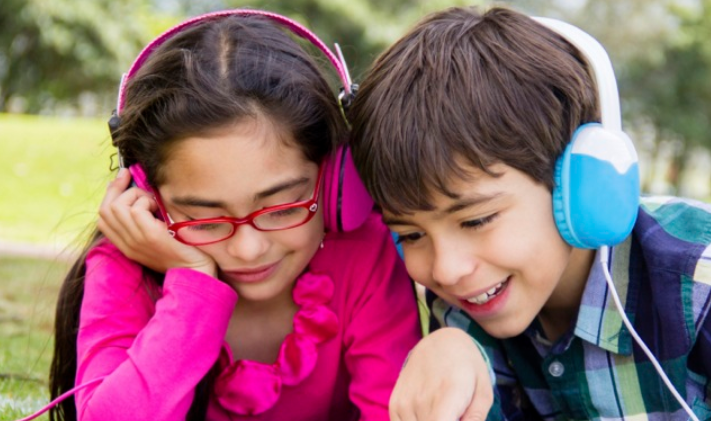 Do it together: it’s always a good idea to introduce your child to audio books with them. You can help them with the cues and help them follow along with the words in the book. You can even review vocabulary words they may have learned. 2. Try to keep it close: Use books that you’ve already read aloud to them previously. This way they’re already familiar with the story and can more easily follow along when you’re not present. Once they’ve adapted more vocabulary from the audio books or you’ve summarized the story beforehand, then you can move on to more difficult and new books. 3. Let them multi-task: Just like it can be hard for kids to sit still in class, it can be hard to sit still and listen to a story. Let them play with a toy, draw a picture, or even eat a snack while they’re listening to their audio book. This increases their love of reading while teaching them to multi-task. 4. Utilize your resources: There are so many sources for audio books. Use websites like Overdrive and Hoopla to access your local library without needing to take the drive. Audible is an app with audio books that you can access on your phone. 5. Have fun: Don’t stress if your child doesn’t understand every word in a book; if the story is interesting to them, let them listen anyway! If a child isn’t feeling an audio book, no need to push it. Move on to the next audio book that sparks their interest in vocabulary and story telling. What are some tips you have when getting a child to enjoy reading? Share below!